Driven by Swiss principles for designs such as minimalism, conservatism in resources and cleanness, Adrian Frutiger has created Universe. The typeface is claimed to give us a uniform series and strict discipline among the glyphs. It offers a wide range of styles from light to dark, from Condensed to Extended. 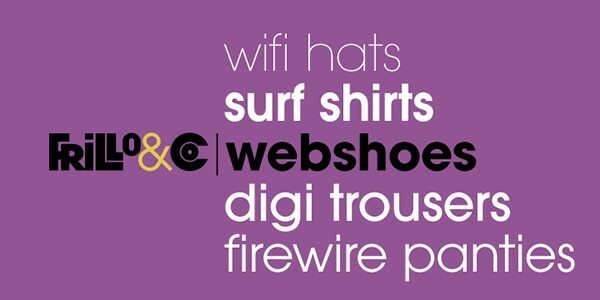 Neo Sans is the typeface that perfectly collaborates with basic decorative means, such as gradients or embossed effect. It looks a bit futuristic yet modern. It is marked by monoline forms, open letter shapes, smooth curves and vigilant execution. It comes in six weights plus extra ones for italic version. It is well suited to display both texts and titles. 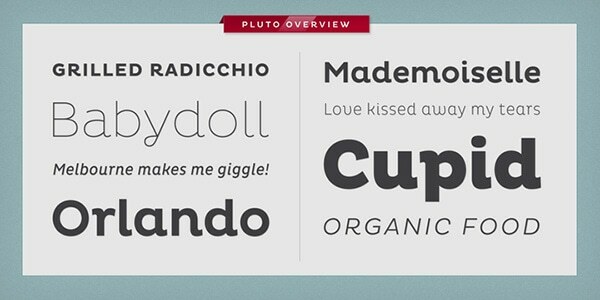 Pluto is an expressive font without being distracting. It has some subtle nuances that make it an ideal match for projects oriented to the feminine audience. It helps to establish friendly and cozy atmosphere. In tandem with its companion, the family consists of 64 fonts at all, covering styles for italics and uprights. It can be used for a long copy since it behaves perfectly well in small size thanks to relatively large X-height. and supports Cyrillic, Greek, Romanian, Baltic, Turkish and other languages. 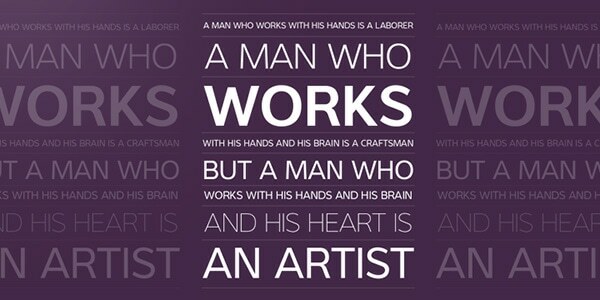 ITC Avant Garde Gothic is a full-fledged font with a complex personality that successfully mixes two styles together. 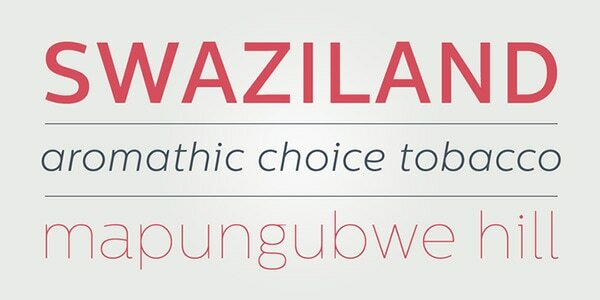 It is delivered in 5 weights with additional oblique, all the popular ligatures and a bunch of alternate characters. In the extra light, it looks delicate and exquisite, while in bold oblique it looks heavy and massive. 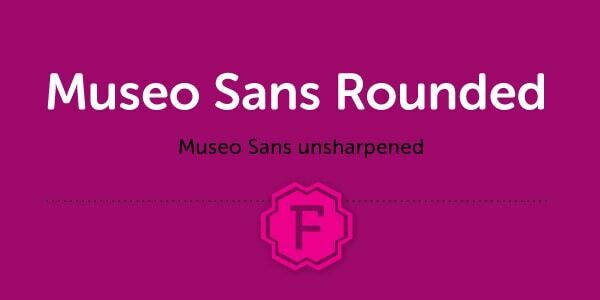 Museo Sans Rounded. The last word in the title is the key one. The font boasts of smooth shapes where circle plays the vital role. It has 12 options that differ one from each other in style and weight. It adds elegance and subtlety to any lettering. Unlike the previous example, Centrale Sans has a more brutal appearance opting in favor of sharp edges and rude geometric shapes. The principal ingredients of this font are legibility and simplicity that result in universal and neutral look suitable for various sorts of designs. It works equally good for demonstrating headlines and copy. It comes in 18 styles starting from Hairline and ending with ExtraBold. Interval Sans Pro has a tech vibe that benefits various complex corporate projects with a casual atmosphere. It includes 28 styles including both uprights and italics and offers additional support for non-Latin languages. Each glyph is easy to perceive and pleasant to an eye. 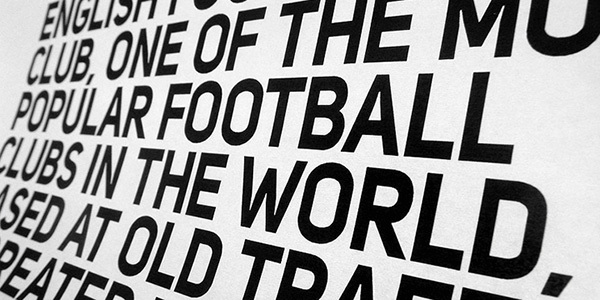 Gill Sans has a long history that began in the early 30s. It includes a ton of various styles and weights that make it a universal typeface. You can find here inventive shadowed version, elegant Light Italic, gross ExtraBold, friendly Infant, playful Light Inclined and others. The font supports almost all the languages. 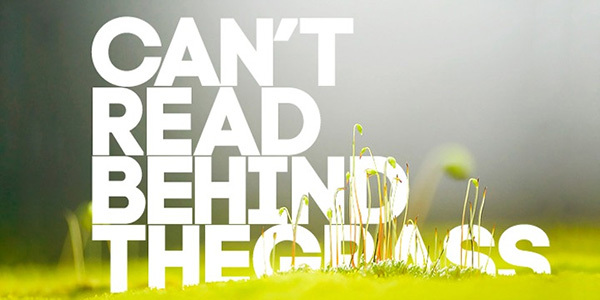 Uni Sans is defined by optimized kerning, well-finished geometric designs and legibility. It is neutral without looking boring and fussy. 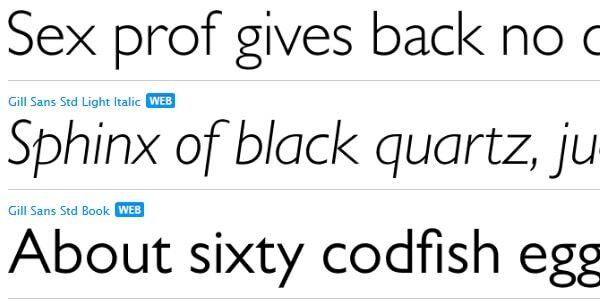 There are seven weights for uprights and seven weights for italics, from Thin to Heavy. It is available in OpenType and TrueType file formats. Code Pro is characterized by a careful and professional execution that makes it a reliable instrument for carrying out various typographic tasks. It is clean and legible. It can look elegant in thin version and heavy in Bold one. It has several modern nuances that distinguish it from Futura and Avant Garde, fonts that provide the author with an inspiration and foundation. Soin Sans is personified by a neo-grotesque appeal spiced up with rough geometric feeling and humanist proportion. It fits asymmetrical designs and projects with open space. 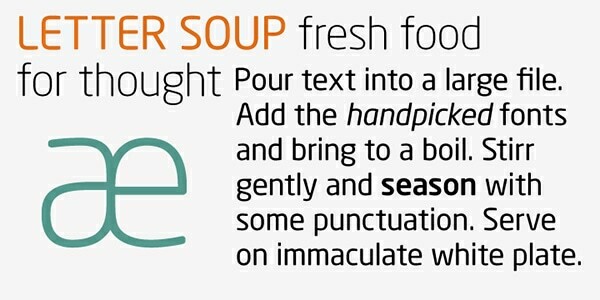 It has eight weights, stylistic alternates features, basic glyph set and numerals. It is delivered in OTF and TTF file formats. Gram lends itself to display both long copy and headlines. Straight architecture of the font makes it a quite neutral and universal, allowing it to blend into any environment. 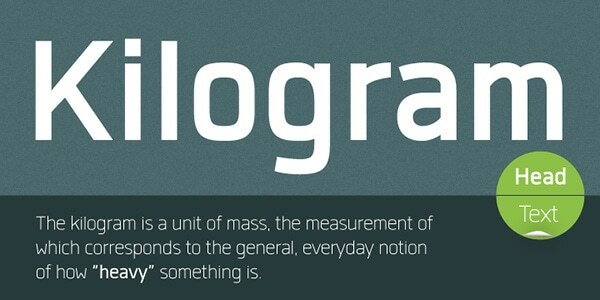 It has only four standard weights such as thin, light, regular and bold plus the same set for oblique version. It looks soft and smooth and is ideal for use in print, web or app projects for beauty salons, shops, cosmetics and other spheres. From the 1800 till today, the sans serif typefaces have seen changes radical, subtle or purely utilitarian in nature. Nowadays, standards to classify the typeface are used to effectively describe their form. 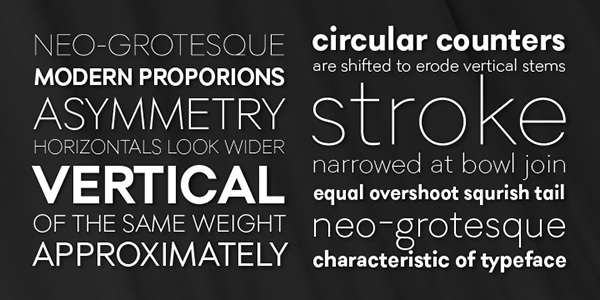 Grotesque carries contrasting strokes and thickness with a square, horizontal curve. 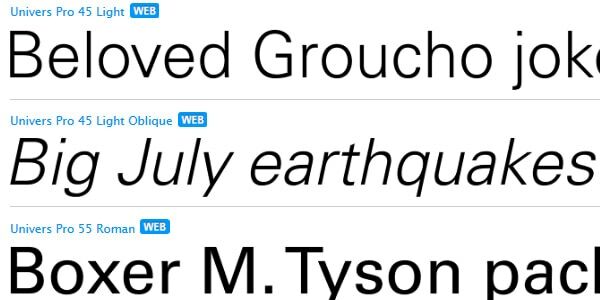 Transitional sans serif is a modern iteration where Helvetica belongs. It is the most common type of sans serif and has a straight look and fewer lines. Humanist sans serif is more calligraphic in nature such as Verdana and Calibri and appears to have more legibility in form. Geometric sans serif like Futura and Spartan are geometric in nature and are very modern. Since they have boxy forms, they are least used in texts. Sans Serif continues to grow, and probably, new value will be found in creating and transforming existing forms to create new ones. great article. what is the body text font on this page? I’m considering using it on my own website as well. With its widespread use it is becoming a little ‘generic’, but where generic also means ‘legible’, it is only good! I’m supposed to take font advice from one of those morons that uses washed-out text that is barely visible?